“Not a day goes by without some article about “AI“ being in the news. It’s everywhere nowadays, promising all sorts of benefits and visions about how it will disrupt work and improve our lives. You’ve probably heard that the progress towards this future is powered by things like Machine / Deep Learning and huge amounts of data that are digested by neural networks. You’ve probably heard that AI can “add intelligence or smartness” to existing products. You’ve probably heard that AI can do things better than humans and sooner or later it will take our jobs. And you’ve probably heard more things along the same lines. In this lunch seminar, Reynaldo Boulogne is going to deconstruct the hype around AI and introduce more authentic intuitions about what the technology is all about. We’re going to cover how AI, Machine Learning, Deep Learning and Neural Networks relate to each other; what the “intelligence” in AI is really all about; how and what machines are actually “learning” and finalize with some examples that highlight the power of the technology. 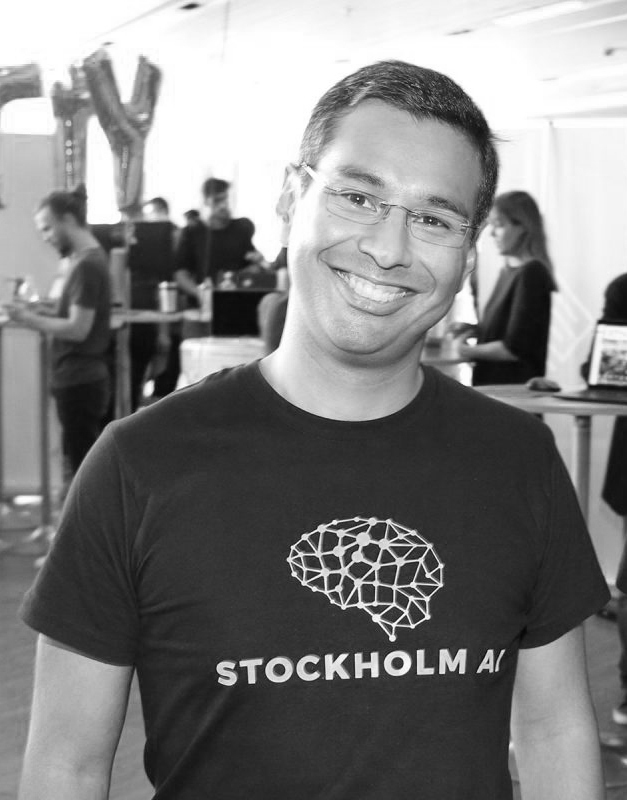 Reynaldo is a Machine Learning Consultant, as well as a Board Member of Stockholm AI, a non-profit organization with over 1,900 members, that brings together AI professionals and researchers with the aim of making Stockholm a natural centre in the world of machine learning. He has been involved in advising a Machine Learning focused startup, has organized Stockholm’s first AI job fair and has prior experience from analytics and business development at Spotify and Klarna. RSVP directly to martin.tallvid@helioworks.se before the 3rd of December to secure your spot and of course, lunch is provided by Helio as usual!